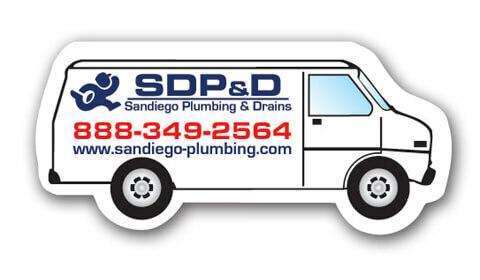 San Diego Drain Cleaning is SDP&D and we offer experienced, professional and polite technicians as well as reasonable rates for our services. When you call… A plumber will answer the phone! We can usually diagnose your drain issue and provide a ballpark quote right then. Once you decide we’re the right company for you, we set up an appointment usually that day or the following day and are open for appointment setting all week. When a technician arrives, he attacks your drain clog the easiest and least expensive way possible – There is more then one way to skin a cat here and we know all the tricks. If however the easy way is not an option, other methods are employed. 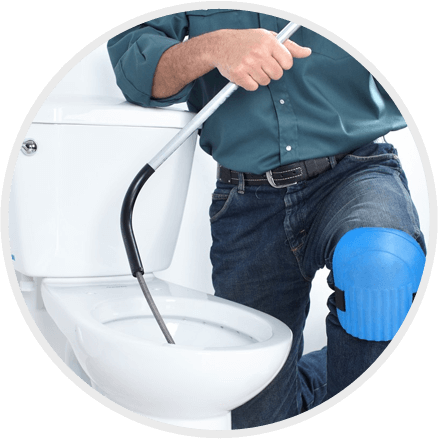 For toilet clogs, usually we would Auger snaking the toilet to restore flow. However, if that doesn’t work, you could have further problems down the line needing either a toilet pull and snaking down the toilet hole or closet bend secondary mainline, primary or may need to vent stack snake depending on the particular problem. Sometimes more then one method is used in order to achieve success. Usually we can resolve issue with 1 try based on our diagnostic skills. Call today to discuss your particular drain issue. We should be able to set you straight on how we would attack it, how much is should cost, how long it should take and when we can get there.